Well, its been so many days since I posted an article on software that is free of cost. So this time I thought of publishing a free licence of a powerful software , which I found out after a many day search. Many of you must have heard of computer spy tools or might have heard the name keylogger from your friends. There are many reasons why many come forth for spy softwares like keyloggers. Such as when you need to find out what someone is doing online? when you want to hack someone’s gmail, facebook , MSN ,etc ID’s ,when you want to know whether your spouse, children or someone you know use your PC hiding secrets from you? If so, Widestep Elite Keylogger is the perfect solution for anyone who needs this information easily, quickly and secretly. I have tested this keylogger for over a week now and I assure you that this is one such software which is worth to put try. Elite Keylogger is a driver-based keystroke logger that invisibly captures every detail of the PC and Internet activity: keyboard monitoring, e-mail recording, snapshots taking, passwords capturing, etc. It is the most powerful solution for concerned parents, small and middle companies, as well as big corporations with the need to monitor hundreds of employees simultaneously. Elite Keylogger is a superior stealth surveillance tool for everyone! Active Elite Keylogger is the perfect tiny spyware. It Record ICQ, MSN, AIM, AOL, Yahoo Instant Messengers! Elite Keylogger is a true Messenger Sniffer. It Secretly save’s all the recordings in a hidden location only you know about, all the logs are encrypted and cannot be viewed by anyone but you.One of the best feature I liked about it is, it’s undetectability by any antivirus softwares. Keystroke Recorder: Elite Keystroke Recorder will record all keystrokes typed, staying completely undetectable to users! Elite Keylogger lets you know what was typed, in which applications, and who typed what: passwords, logins, addresses, names. 100% Undetectable: None of known or unknown anti keyloggers will reveal Elite Keystroke Recorder. Your privacy is safe and logs are unaccessible to anyone. The only way you can access the keystroke is by the way you specify. Chats, IMs, E-mail Sniffer: It Record keystrokes typed in any chat,including internet messengers or e-mail clients: user name, password, keystrokes, instant messages (MSN/AOL/ICQ/AIM/Gtalk). Clipboard Monitoring: Most of the users copy and paste logins and passwords instead of typing them manually. Elite Keystroke Recorder will crack into clipboard as well! Unlike others Elite Keylogger also grabs clipbord graphics. Application Activity Recorder: Elite Keystroke Recorder can record all applications launched and the text anyone typed there. You will know the exact time, date, path, window caption and other parameters of the programs launched on your PC. Winlogon and passwords tracker: Elite Keylogger is the most powerful password sniffer and password monitoring utility, it can listen to your PC activity and enables administrators or parents to capture passwords of any local user. Currently Elite Keystroke Logger can monitor and capture all masked passwords in system as well as POP3, HTTP, SMTP, and etc. Windows SP user password recording is also the key feature of Elite Keylogger. Screenshots Maker: Elite Keystroke Recorder regularly takes screenshots of Windows Desktop and applications running, like an automatic surveillance camera hidden from all users! Sends logs to email or FTP: Elite Keylogger will secretly save all the logs to the specified FTP server/account, where you can regularly grab fresh monitoring logs from. It’s simple, functional and very convenient. So you are 100% aware of all PC activities with our keystroke recorder. Driver-based keystroke recorder: as a low-kernel monitoring software recording every detail of PC and Internet activity. It is the optimum solution for homes, families, small and middle offices, as well as big companies with the need to monitor hundreds of employees. The benefit of this type of keylogger is that it is completely undetectable. Because the keylogger is executed before the rest of the computers programs, it takes special precautions to hide itself. A kernel key logger is generally considered to be the best because it is undetectable. Invisibly collect logs to USB drive:Whenever you insert a prepared USB drive in the monitored PC, all new logs will be secretly copied there, so you can read them later with the convenient Elite Keylogger Logs Viewer. Elite Keylogger is compatible with Windows 2000, XP, Vista, 7 (32-bit only; all service packs are supported). With 4.7 version you are getting more powerful installer: now you can update Elite Keylogger without deleting it so that all the logs are saved and there’s no need to reboot twice. Moreover, Elite Keylogger can now be installed in Safe Mode and gives you updated logs displaying control for better support of International characters in keystroke.More languages of the utility are comming soon. 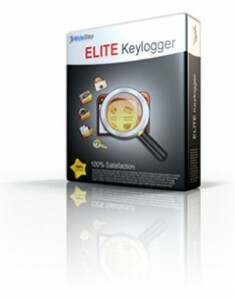 In order to evaluate all the features Elite Keylogger offers, Widestep Security Software provides you with the 7-day free trial version of Elite Kelogger. While the demo version that can only be used for 7 days and might be detected by some antiviruses, all registered clients get the special version of Elite Keylogger which cannot be detected and is daily updated for them.